There’s something about the warm and supportive relationships among members of the community at St John’s where students feel safe and happy, and able to perform at their best. 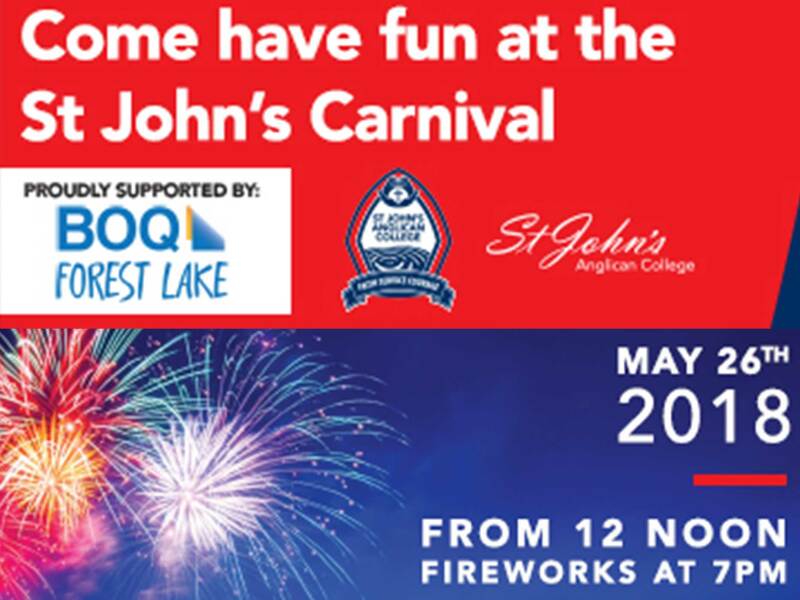 At our Twenty Fifth Year’s College Carnival on Saturday May 26 from NOON the magic of this community life will be on show. I hope you’ll join us for a fun afternoon. St John’s is a community of like minded families and educators committed to the well being of our students the development of their potential and their achievement in all areas of their lives. Fundamental to the St John’s educational philosophy is the understanding that values education in the Anglican tradition, within this sustaining and life giving community, significantly underpins the development of our teaching and learning approaches and the success of our students. Importantly, the pastoral care program ensures that each child’s social and personal development is nurtured throughout each stage of the educational journey. Students are encouraged to develop leadership skills through year level outdoor education camps, service learning programs and pastoral and mentoring activities involving staff and students across the year levels. Leading by influencing others “for good” as a mentor, team player, or individual, is a key skill developed to prepare young men and women for active participation and leadership in local or global communities. St John’s students experience the value of belonging in a supportive community, learn to value what the community values, know how to participate in the community and most important of all know how to recreate and sustain communities of support in their adult lives. A St John’s graduate is well educated, respectful, resilient and compassionate; equipped to be a person of influence in the local or global community in which they serve. Old Collegians testify that you might hang up the Red Blazer when you graduate from St John’s but the mark it leaves upon you stays forever. You’re welcome to join our community for our tenth College Carnival on May 26 from NOON til the Fireworks concluding at 7.00PM. See you there!